Last Dec 21, 2012, a new frequency flowed into our solar system. It filters through our energy fields and many people are uncomfortable with it, while others find it pushing them to change their lives. To flow with this new frequency we need to release old belief systems, which are buried deep our subconscious. They are patterns developed through religions and tribal/ethnic cultures. These beliefs gave us community, but did not share truth. They taught us to fear, anger, hate, fight and flee without logic, divinity or love. 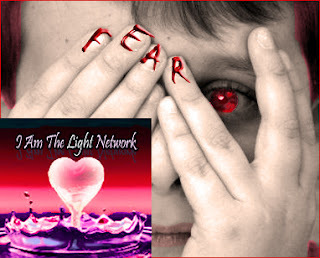 Last night on my new podcast, which we do each Wednesday night at 7pm PT / 10pm ET on blogtalkradio.com/Iamthelight I addressed some of the issues of fear, offering deeper understanding, insights and techniques to help free you.